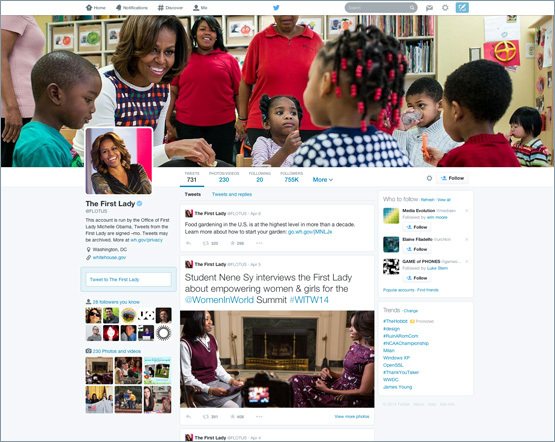 Twitter announced new profile page designs are rolling out to users over the next few weeks or so. People are calling the new design, Facebook-like. Filtered Tweets from these options: Tweets, Tweets with photos/videos, or Tweets and replies. Check it out live at @flotus.